BRUSSELS (CelebrityAccess MediaWire) — Universal is working to finalize their concessions offer in an effort to earn final approval from EU regulators over their $1.9 billion acquisition of EMI ahead of an August 1st deadline. 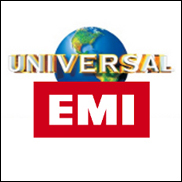 EU regulators have expressed concerns that the enormous catalog represented by a post acquisition Universal would hinder competition, a concern echoed by many of Universal's competitors. The merger would give Universal control of more than 36% of the global market, and in some markets, such as Germany, The United Kingdom and Italy, Universal's market share would top 40% in terms of sales and distribution, Reuters reported. To counter these anti-trust concerns, Universal is weighing concessions that could include licensing deals, but regulators are reportedly pushing for divestiture of assets, including Virgin Music, EMI Classics and Chrysalis. In addition, Universal is set to meet with U.S. regulators from the Federal Trade Commission. Getting regulators to sign off on the merger is crucial for Universal's parent company Vivendi. In the terms of their agreement with EMI's current owner Citigroup, Vivendi is on the hook for a 1.1 billion to Citigroup on September 10th, if the merger completes or not. Vivendi, which is facing a stock slump is weighing reorganization and can ill afford turbulence in closing the deal for EMI.